Will guarantee you a successful writing career. That I’m only sharing on my blog. If you follow what I’m about to tell you. So that agents will be begging to represent you. Making millions and becoming famous! Sorry to tell you this but you were just pranked. To making “him” fall instantly in love with me. Ah HA!! That’s the secret—a promise! We authors should do that too, no? That the reader just can’t wait to turn the page. But if you’re a writer you already knew that, huh? Ever get hooked into Internet videos? If so, did you ever get to the end of the video? And have you ever considered your story a promise to the reader? 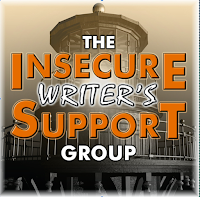 This post is part of the monthly blog hop/therapy session known as Insecure Writers Support Group, founded by the one and only, Alex J. Cavanaugh. If you're a writer, insecure, or just supportive of insecure writers, please join us. It happens the first Wednesday of each month. This month’s prompt is: What writing rule do I wish I’d never heard of? What writing rule do I wish I’d never heard of? I have to say it's Stephen King's #1 rule in his “20 rules for writing” from his book,On Writing. I went on to rewrite the whole monster of my first draft. And **hanging my pen in shame** the adverbs! But you have to know your book, On Writing is still the best! And I'm sure you don't suffer from insecurity now, do you? What's the worst writing tip you were ever given?